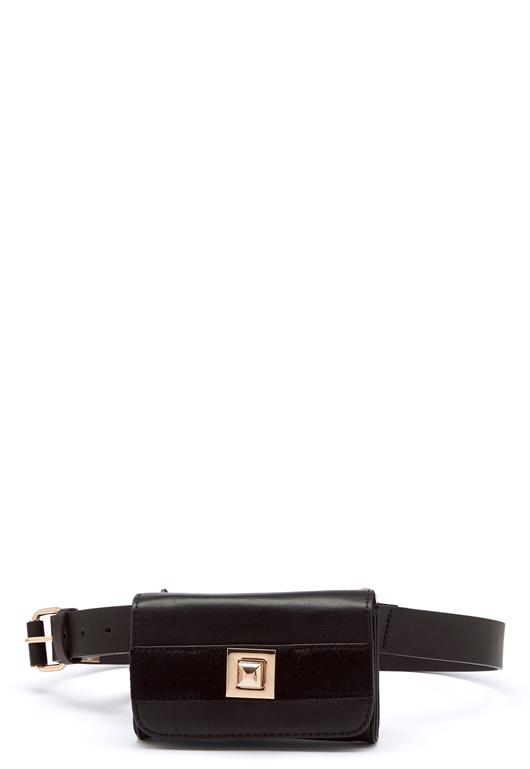 Stylish fanny pack from PIECES. 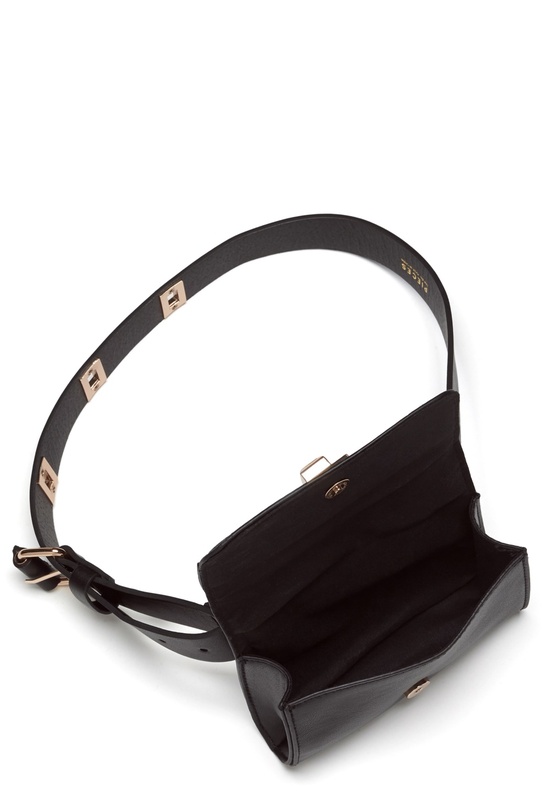 The bag has been made using imitation leather and has beautiful details. 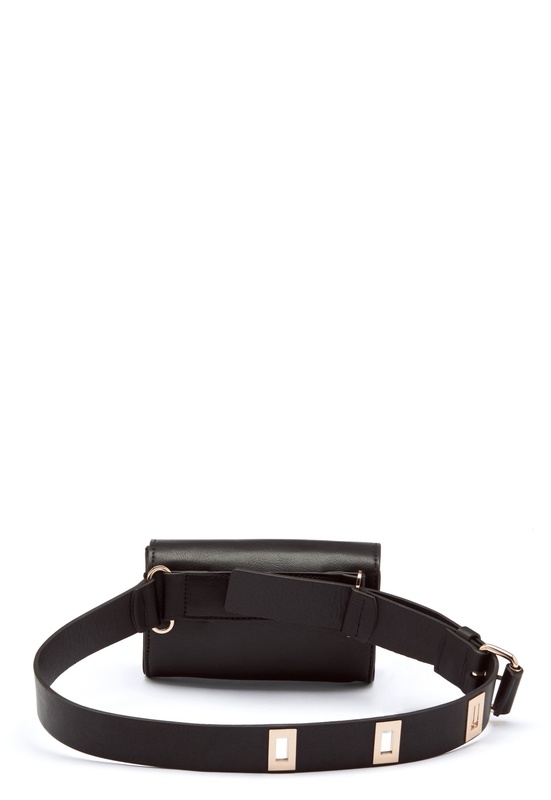 - The bag closes using a magnetic clasp at the front. 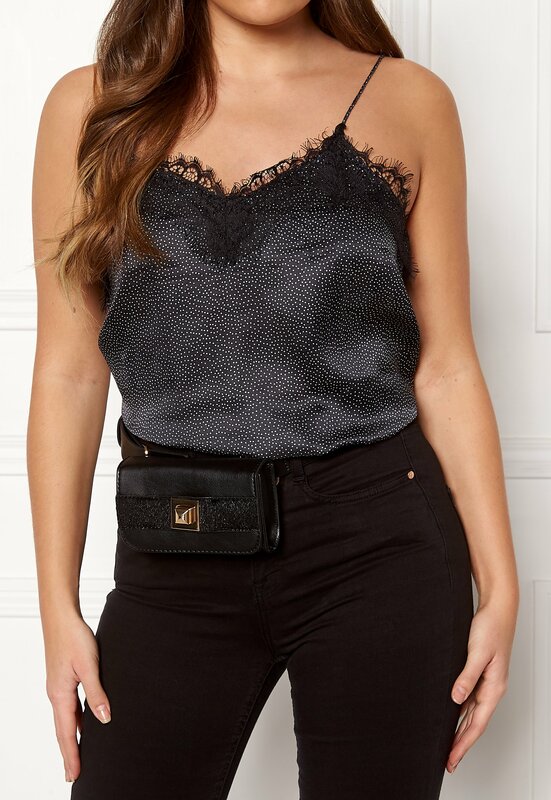 - Waist strap (adjustable, not removable) - Gold details along the waist strap - Decorated with bands and a clasp (gold) at the front Length 15.5 cm, width 3.5 cm, height 10 cm.